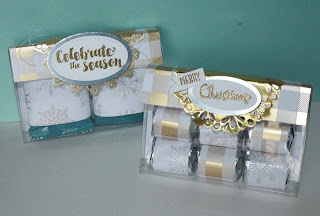 Just Julie B's Stampin' Space: Creation Station Blog Hop - Perfect Packaging! 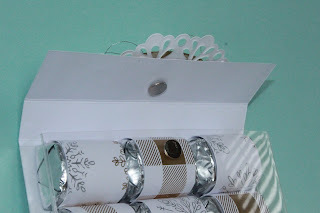 Creation Station Blog Hop - Perfect Packaging! 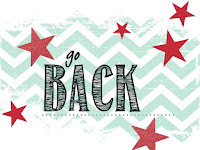 Welcome to Creation Station's Blog Hop for November! 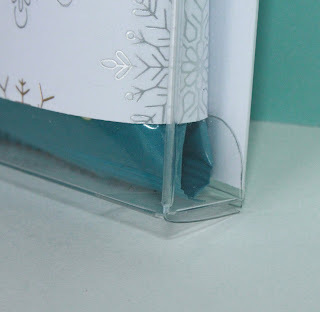 This month we are showing off Perfect Packaging! 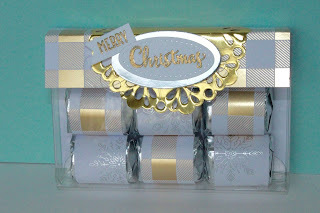 - Just in time for the upcoming holidays! 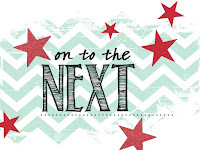 There are so many cute things that our Stampin' Up! 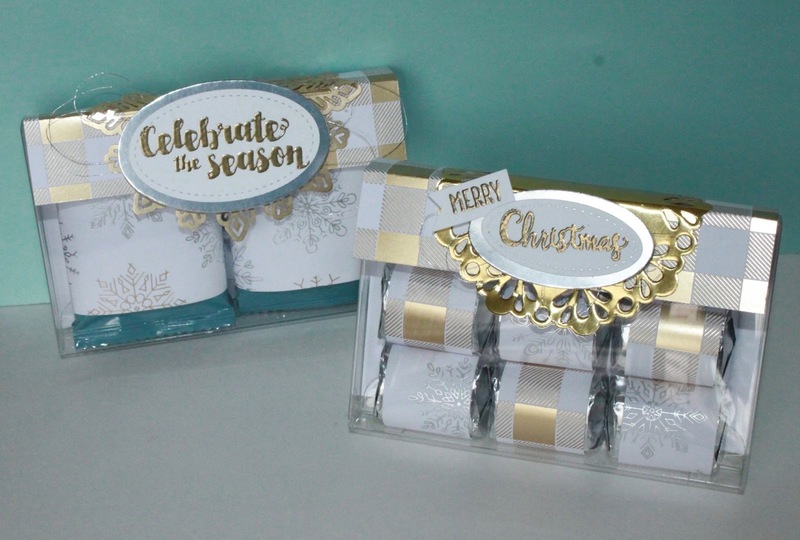 catalog offers for packaging ideas! And our Holiday Catalog has even more to offer... 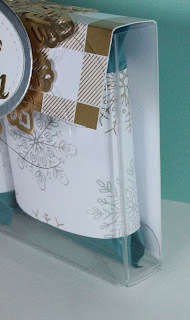 When I saw the Acetate Card Boxes I knew they would be great for sending a set of cards, but I knew there would be some other great ideas for them. So I'm not the original creator, but I loved how the Acetate Card Boxes have been cut in half and made into various gift boxes. 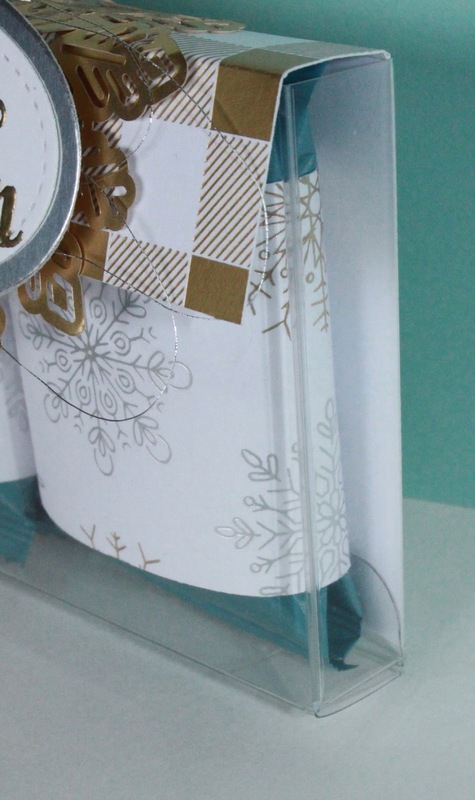 For these ones, I added the Year of Cheer Specialty Designer Series Paper to the open top, half-Acetate Card Box. I started with a 4-1/2" x 4-1/2" piece. Then I scored it at 2-7/8" and 3-1/2". - That makes the back, the top and front flap. The bottom edge tucks perfectly into the acetate box flap on the bottom - so no adhesive is necessary to attach it anywhere! And whichever treats you wrap and put inside, the backside of the DSP stays nice and flush with the box. I used magnets to close the flap, but you could use velcro dots too! This is such a beautiful way to package a candy gift! Julie these are so pretty...what kind of cutter are you using to cut the boxes in half? How pretty! A really nice way to package chocolate!